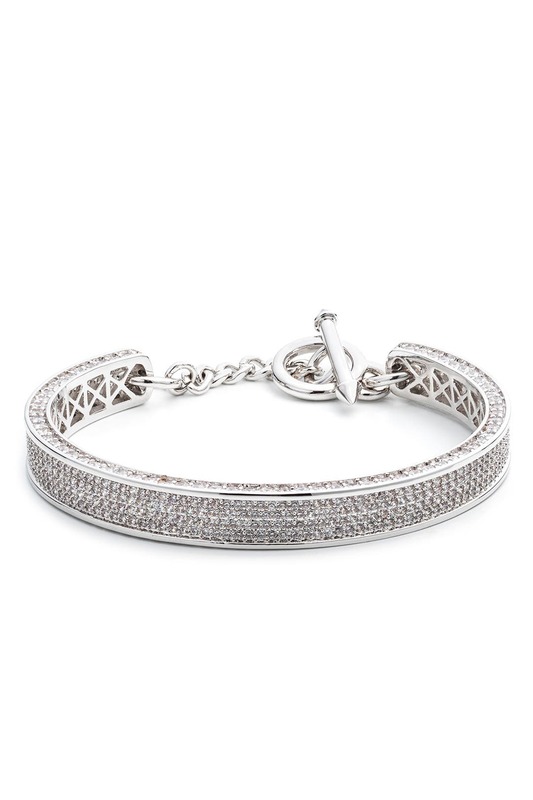 A chunky silver chain gives this sparkly Eddie Borgo cuff a downtown edge. It'll give sleek looks depth. 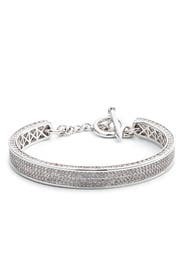 Silver plated cuff hand-set with clear pave crystals. Toggle chain closure. 2.25" interior diameter. Very elegant bracelet. The only drawback: the clasp caught on my lace dress several times. 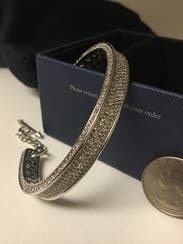 I rented this bracelet for a formal event, but didn't end up wearing it. It's a beautiful bracelet, but it wasn't wide enough. Classy diamond cuff. It's not so flashy, and is high quality costume jewelry. Gorgeous, but definitely for a smaller wrist. I got by with it, but it didn't have any play. Would have preferred if it had been slightly bigger, as it has a nice t-clasp attached to the cuff it would have been perfectly secure. Great addition accessory to any gown and wish I could purchase it? Beautiful bracelet but fit for very small wrist. The bracelet is beautiful but it was so tight and uncomfortable. I was able to get it on, but I didn't wear it because of the discomfort. Bummer! I loved this bracelet. If I could buy it I would. It was very comfortable and classy and provided just the right amount of bling. So quality for this item was a bit underwhelming. Up close it looks more like a cheap piece of costume jewelry. 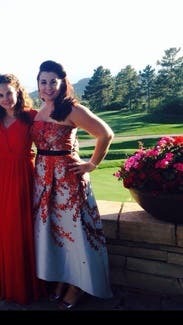 :/ But that being said it looked lovely with my dress and photographed really well. It you have small wrist (like I do) it'll be a perfect fit! 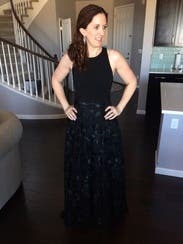 Worn for a formal event. Love the look and wish I could own this! Sending back, will not be using for my event. Lovely, simple bracelet. 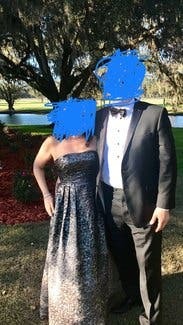 It added some sparkle to my outfit for a formal wedding.